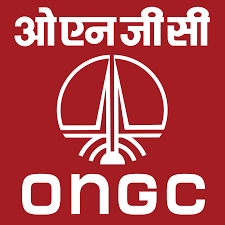 New Delhi: Oil and Natural Gas Corporation Ltd (ONGC) has drilled 503 wells in 2017-18, which is the highest number of wells drilled in last 27 years. Among the 503 wells, 119 exploratory and 384 development wells were drilled. In order to assess the prospectivity of existing acreages in a time-bound manner and add to the company’s reserve base, more focus was laid on exploratory drilling. During FY’18, ONGC’s planned capex outlay on drilling activities was Rs 16,038 crore with a target to drill 496 wells including 110 exploratory and 386 development wells. However, the company has drilled 503 wells at a cost of approx Rs 14,200 crore which is 11.5% lower than the budget outlay. The initiatives taken by the company to optimize cost and enhance operational efficiencies has yielded additional savings in the fiscal year ended March 31, 2018. This is the second consecutive year that ONGC has drilled over 500 wells. Last year, the company drilled 501 wells at a cost of Rs 15,440 crore. This comes at a times when the company is looking to step up domestic output in line with the clarion call given by Hon’ble Prime Minister to reduce 10 percent import dependence by 2022. Speaking about the achievement, Mr Shashi Shanker, CMD ONGC said, “We have taken measures to improve our operational efficiency by better well designs, inducting new technologies, improving cycle-speed, standardization of well testing procedures and minimizing idling period of rigs”. What’s more remarkable is that among the 119 exploratory wells drilled, 8 were in the deep-water fields against initial target of 6 and 45 in shallow-water fields against target of 38. In order to have a more focused approach in drilling operations, a new concept ‘Company within Company’ was rolled out in Mumbai High (MH) Asset to bring about operational efficiency in offshore drilling operations. “The plan has already paid rich dividends as MH Asset achieved highest-ever cycle and commercial speeds”, Mr Shanker said. This year, ONGC has set a capex outlay of Rs 17,615 crore on drilling activities. There is a significant upside in the number of deepwater development wells planned by the company. The company has set an ambitious target to drill 535 wells, of which 24 are deep-water development wells as part of Cluster-2 development of KG-DWN-98/2 project, off the East-Coast of India. 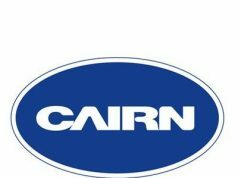 The company is also set to drill 30 wells as part of its CBM development project.